Home » How to Upload Sony 4K XAVC S to Dropbox for Sharing via Link? For Sony PXW-Z150, PXW-X200, PXW-X70, HXR-NX100 users who have just recorded some video footage in 4K XAVC S file format, to conveniently and swiftly share the video with friends or family members, it would be a good option for you to upload 4K XAVC S to Dropbox, which allows users to send it quickly by email, chat or even text message with a simple link. 4K XAVC S is absolutely not supported by Dropbox. To fix this format incompatible issue, you can use a third-party video conversion tool such as Pavtube Video Converter for Windows/Mac (best Mac XAVC/XAVC S Converter for Review) to convert 4K XAVC S to Dropbox readable file formats listed above. 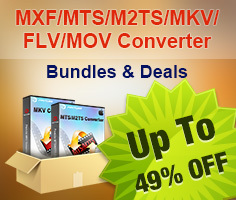 Besides 4K XAVC S, the program also has the capability to transcode other unsupported file formats such as MXF, H.265/HEVC, Prores, etc into Dropbox supported video and audio file formats. Like other online storage services, Dropbox also has file size limitation on different account. And All files uploaded to your Dropbox must be smaller than your storage quota. For example, if your account has a storage quota of 2 GB, you can upload one 2 GB file or many files that add up to 2 GB. If you are over your storage quota, Dropbox will stop syncing. As we can see, if you only own a free Dropbox account, it would be in-practical for you to upload 4K video to it. The best solution here for you is to compress 4K to 1080p or 720p so that you can large reduce your file size. Fortunately, you can easily make it in the program's built-in "Profile Settings" window. How to Upload Sony 4K XAVC S to Dropbox for Convenient Sharing? Step 1: Load Sony 4K XAVC S files. 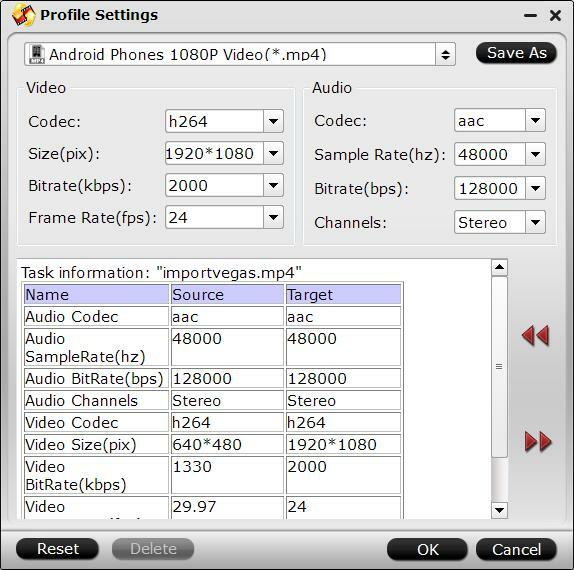 Launch the program on your computer, click the "File" > "Add Video/Audio" button to import Sony 4K XAVS S files into the program. From the "Format" bar drop-down list, select Dropbox accepted "HD Video" > "H.264 HD Video(*.mp4)" as the output video format. Click "Settings" on the main interface to pop out "Profile Settings" window, under "
"Size(pix)" drop-down options, select "1920*1080" or "1080*720" to output. Step 4: Convert 4K XAVC to Dropbox supported format. Go back to the main interface, initiate the conversion process by pressing the right-bottom "Convert" button. 1. Install the Dropbox desktop application on your computer to help creates a new folder on your computer called Dropbox, drag and drop your files into the Dropbox folder. 2. After installation on Windows, your Dropbox folder will be located inside your home folder by default. 3. Open and sign in to the Dropbox website. 4. Click the Upload button from the very top of the window. 5. A window will appear. Click the Choose File button and then select the file on your computer that you'd like to add to your Dropbox. 6. Choose as many files as you like, and then click the Start Upload button. 7. Your files will start uploading, and you'll be shown a progress indicator. That's it, you've added files to your Dropbox.